Home / Employment / FMLA / Labor Relations / Personnel / How Much Can You Ask About Intermittent FMLA Leave Needs? How Much Can You Ask About Intermittent FMLA Leave Needs? We were recently asked whether an employer could ask for more medical information to support an employee’s medical certification for intermittent FMLA leave because the employee suffers from migraines. The employer wanted more information on the severity, frequency and possible medications for the employee’s condition because the employee regularly but intermittently called in sick due to having a migraine. An employee who suffers from migraines can present one of the most vexing intermittent FMLA leave situations. Through no fault of the employee, absences are unpredictable, so it can be difficult to ensure that their work is covered. On the other hand, conditions such as migraines, which are unpredictable in onset, also create opportunity for FMLA abuse if the employee is so inclined. No doubt exists that FMLA abuse is difficult to address. 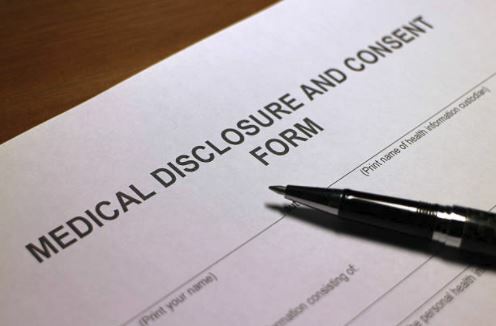 The urge of an employer to require more information of an employee’s doctor than is required on the standard DOL FMLA Certification of Health Care Provider (form WH-380) is understandable. In the case of an employee who suffers from migraines, it might be helpful for the employer’s operational planning to know whether external triggers exist, such as seasonal allergies, or the number of migraines that the employee historically suffers in a month or whether medication will allow the employee to work part of a day that they get a migraine. The problem is that an employer who requests this information to conduct their own needs analysis may be engaging in FMLA interference. Receipt of the Certification of Health Care Provider Form, or a document from the employee’s doctor which contains the same type of information, and appears valid in either case, when the employee is otherwise eligible for FMLA (meets the hours requirement and has not exhausted FMLA for the 12-month period) entitles the employee to FMLA protections. Knowing more about the employee’s condition, such as future prognosis or severity, will likely not change their eligibility. It is also risky to substitute what may seem to be common sense for the opinion of the employee’s health care provider. The severity of conditions can vary, so the fact that one employee who wakes up with a migraine can take medication and be at work by noon does not mean that another can do the same. By the same token, an employee with a condition that may ultimately result in leaving the workforce permanently, but who currently only needs and is eligible for intermittent FMLA leave, is entitled to that leave, regardless of what the future may hold. This is not to say that you cannot ask the employee with migraines or other unpredictable conditions whether their absences have any degree of predictability for purposes only of planning. It may also be helpful to explore whether that employee really needs a reasonable accommodation under the ADA instead of just time off. An open discussion with the employee about their work assignment and whether a reasonable accommodation might exist may reduce the need for intermittent FMLA in some instances (although likely not in the case of severe migraines). Although an employer cannot involuntarily transfer an employee to a different position just because they have applied for or are using intermittent FMLA leave, sometimes the employee is grateful for that opportunity, especially when their medical condition is chronic. Require periodic health care provider certification updates. Ensure that the certifications are complete and make sense. Inconsistent or incomplete information should be resolved. If the employer has a good faith belief that the health care provider certification is not valid, consider sending the employee for an employer paid medical exam. Require that the employee call in on each day that they intend to use FMLA and designate it as such. Be mindful of patterns. If the employee has a Monday/Friday pattern or is absent when large projects are due, or when overtime is likely needed, then they may be an abuser. Social media can be a great investigative tool. Employees still seem to have an irresistible impulse to post their activities on social media, even when they claim to be too sick to report to work. Be mindful though that not all outside activity is evidence of FMLA abuse. The key question is whether the activity is contrary to their reported inability to go to work. Consider surveillance if abuse is suspected. It can be a bit costly, but in the end, it can root out abuse and send a powerful message to employees that FMLA abuse is not tolerated.